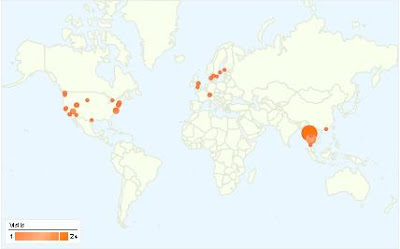 The blog seems to be making it's way around the world. Each dot on the map represents the reader's city. Lets see how that grows after the turn of the year! Unhealthy adults... Healthy pups ? For Sale - A healthy good looking pup - NOT!